Diet is just one of many factors that affect hoof health including trimming and shoeing, weather, and genetics. However when it comes to nutrition, providing a balanced diet should be the first priority. Having said this some horses, such as those with particularly poor hoof growth and/ or quality, may benefit from a specialist hoof supplement (in addition a balanced diet). Whilst spring grass may provide 3 times more energy (calories) than your horse needs, forage alone is unlikely to provide a balanced diet. It is also worth remembering that due to the time it takes to for the hoof to grow, it can take up to 12 months to see the effects of either reduced or improved nutrition. *Feeding 0.12mg of biotin per kilogram of bodyweight (60mg per day for a 500kg horse) for 5 months has been seen to improve hoof growth. *Feeding 15mg of biotin per day for 10 months has been seen to increase hoof hardness and horn growth. *Feeding 5mg of biotin per 100-150kg of bodyweight per day for 8-15 months (17-25mg per day for a 500kg horse) has been seen to improve hoof horn condition. However horn condition deteriorated again when supplementation was either reduced or removed. Several feeds and balancers now contain elevated levels of biotin and when fed at the recommended ration, may reduce or even remove the need further biotin supplementation. The hoof wall consists largely of protein including keratin – the same structural protein found in our own skin, hair and fingernails! Providing sufficient levels of key amino acids (building blocks of protein) is therefore essential for hoof growth, integrity and strength. Lysine and methionine are essential amino acids and important building blocks of hoof wall. In fact, methionine contains sulfur, a mineral which is needed for keratin formation. Essential amino acids cannot be produced by the horse and must therefore be provided by the diet. 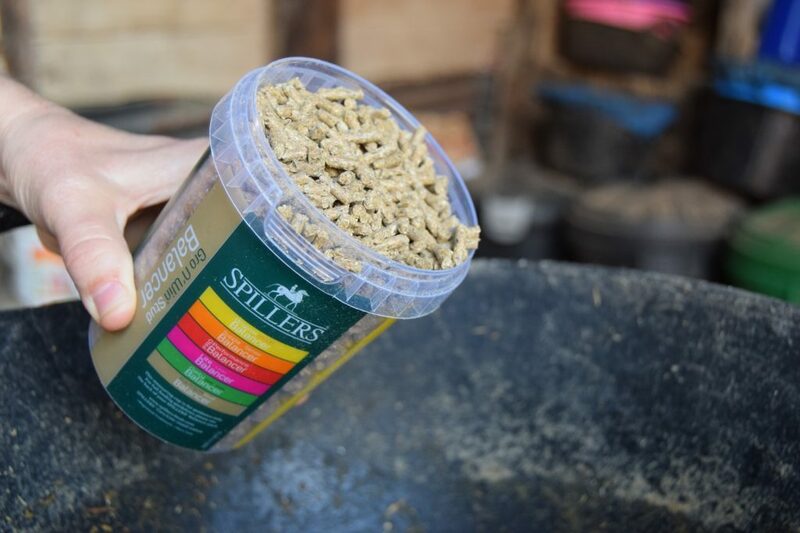 Levels in UK forage are typically low and therefore feeding a balancer as opposed to a broad spectrum vitamin and mineral supplement may be more beneficial for good doers that do not require the calories provided by compound feed. Copper and zinc play a number roles important for both hoof health and strength. Like amino acids, levels of copper and zinc are typically low in forage. 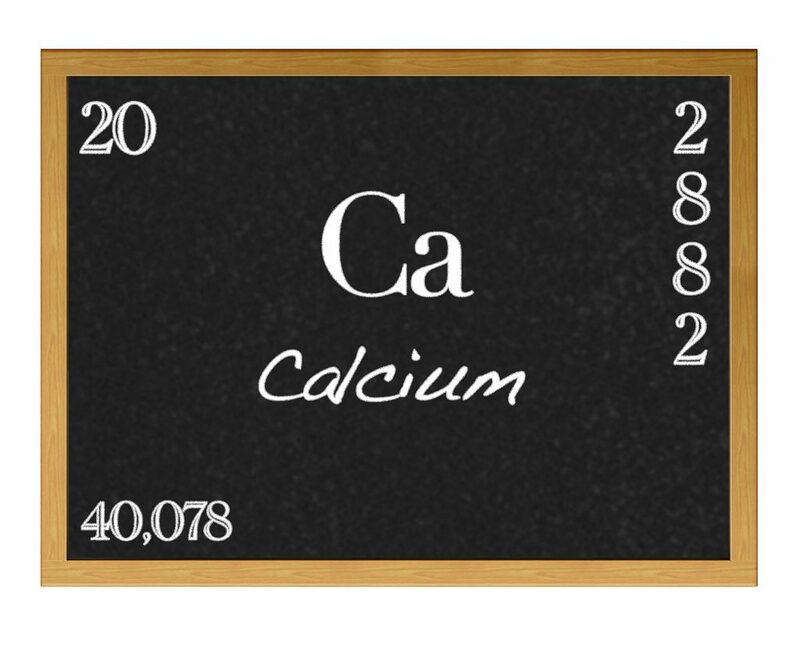 Calcium is not just good for bones and teeth! Although only hooves only contain very small amounts of calcium it is important for cell attachment in the hoof wall. Whilst you may associate MSM with joint health, you may also find it in the ingredients list for your hoof supplement. Although not a nutrient, MSM is in high in the mineral sulfur (needed to form keratin). More does not always equal better and this is certainly true for selenium. 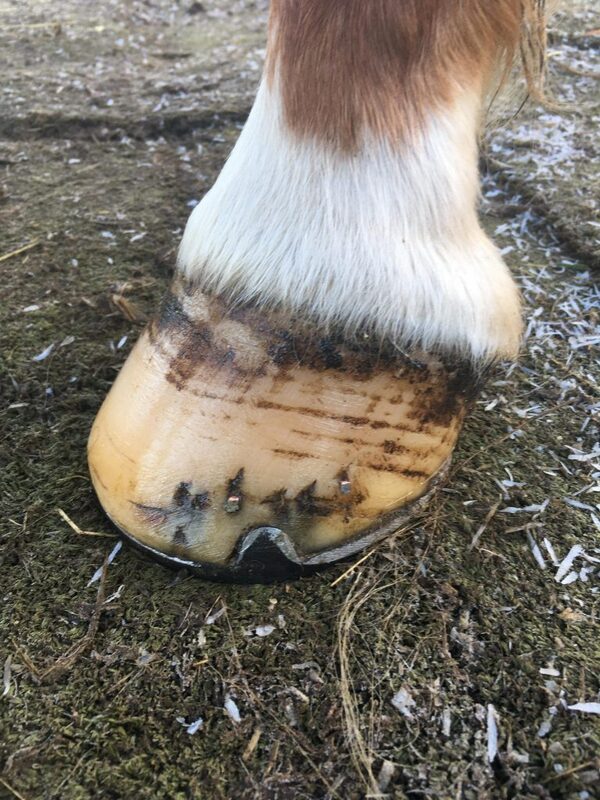 Chronic selenium toxicity (a build up over time) can lead to abnormal hoof cracking around the coronary band which in severe cases, can lead to shedding of the hoof wall. However much lower intakes have been seen to have detrimental effects on hoof health which is why many nutritionists recommended feeding no more than 5mg per day for a 500kg horse.